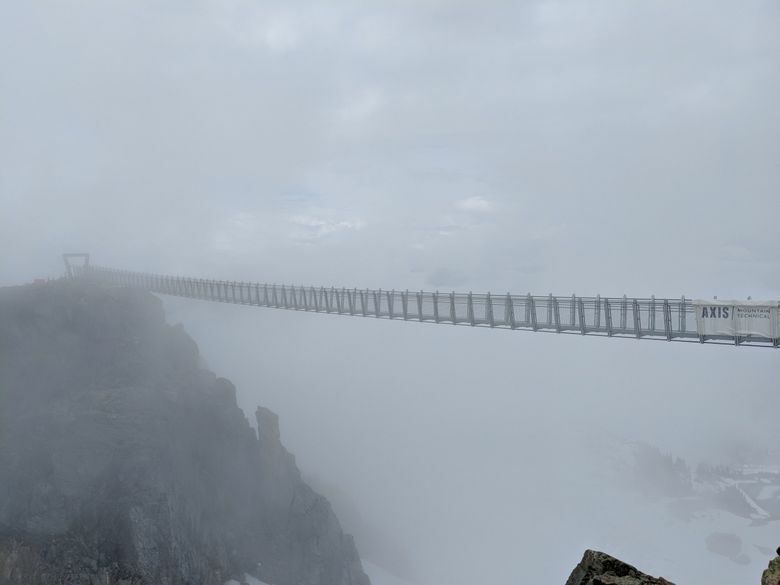 You know Whistler, B.C., as a resort town. But with support for disabled athletes and a strong LGBTQ presence, it’s also on the cutting edge of inclusive outdoors programming. A traditional story tells of Spo7ez (Spoez), a shared village near today’s Whistler, British Columbia, where the Sk̲wxwú7mesh Úxwumixw and Líl̓wat7ul (Anglicized: Squamish and Lil’wat Nations) peoples traded and lived peacefully together. When the two groups began to fight, the Thunderbird took notice, and after his warnings went unheeded, he sent down a great landslide that stopped the fighting and killed many. The survivors were sent back to their territories to spread the message that the two nations must live and work together. 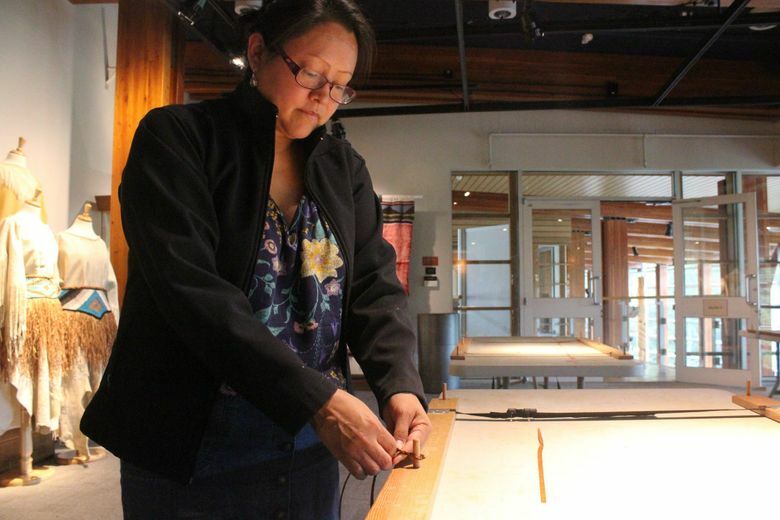 As she relates this story, the curator, whose Lil’wat name is Mixalhíts̓a7, and who also goes by Alison Pascal, stands in front of the floor-to-ceiling windows of Whistler’s Squamish Lil’wat Cultural Centre. This story is one of the influences that brought the Sk̲wxwú7mesh Úxwumixw and Lilwat7ul people together once again to form a joint center, where the cultures are honored and represented under one roof. According to Mixalhíts̓a7, it is the only such collaboration between two indigenous communities in North America. Similarly, the resort town that sits on stolen Sk̲wxwú7mesh Úxwumixw and Líl̓wat7ul land is a gathering place for people from all over the world. In Whistler Village, at the base of Whistler and Blackcomb mountains, you’ll hear as many Australian accents as American and Canadian. On a gondola ride between the two peaks, you might meet camera-happy visitors from Japan or England or Mexico. Whistler is a resort town through and through. In winter, skiers and snowboarders take advantage of the mountains’ steep slopes, stunning views, and great snow conditions, and in summer, it turns into a sort of theme park for adults, with groups setting out each morning for a day of mountain biking, or hiking to mountaintop restaurants, and then converging on the village in the evening for cocktails, fine dining, and live music. 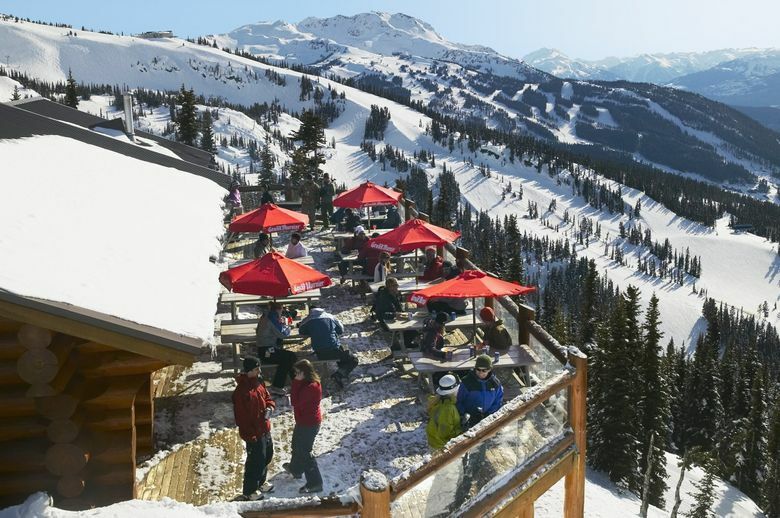 But while Whistler thrives on the arrival of roughly 3 million visitors each year, it is also home to about 12,000 permanent residents and an estimated 2,432 seasonal residents, most of whom work to help create the Whistler experience that visitors enjoy. Mixalhíts̓a7 has been working at the Squamish Lil’wat Cultural Centre (SLCC) since it first opened 10 years ago (the 10th anniversary will be July 10), after the Resort Municipality of Whistler approached the two nations about establishing a permanent institution in Whistler. A member of the Líl̓wat7ul Nation, Mixalhíts̓a7 recalls a contentious time growing up when local families in Pemberton who relied on the logging industry clashed with Líl̓wat7ul community members, who were fighting to protect their land from clear-cutting. “It wasn’t always nice to go to school and know that your friends were hurting so much and knowing their families were hurting so much, but knowing that our connection to the land is so deep and so important to us … we just couldn’t let it go,” she said. The anger and racism she experienced during that time became part of what influenced her to work at the cultural center. “If you could just invite people to come in and understand your culture and understand why we work so hard to preserve it and why were work so hard to block off certain sections of the territory … the misunderstandings of stereotypes are lessened,” she said. Today, as a curator at the cultural center, Mixalhíts̓a7 designs exhibits and gives tours to visitors in the hope of raising awareness about the Sk̲wxwú7mesh Úxwumixw and Líl̓wat7ul cultures. “The most important part is the opportunity to share our culture as Squamish and Lil’wat people and the opportunity for visitors to come in and meet us and to talk to us and see us as people,” Mixalhíts̓a7 said. “They need to know where the money’s coming from,” Brent Benaschack had said to a crowd gathered at Whistler’s annual LGTBQ ski festival. Handing out sheets of stickers, he had instructed the crowd to place the pink dots on all of the businesses they visited during their time in Whistler. It was 1996. Four years earlier, he’d founded the festival. 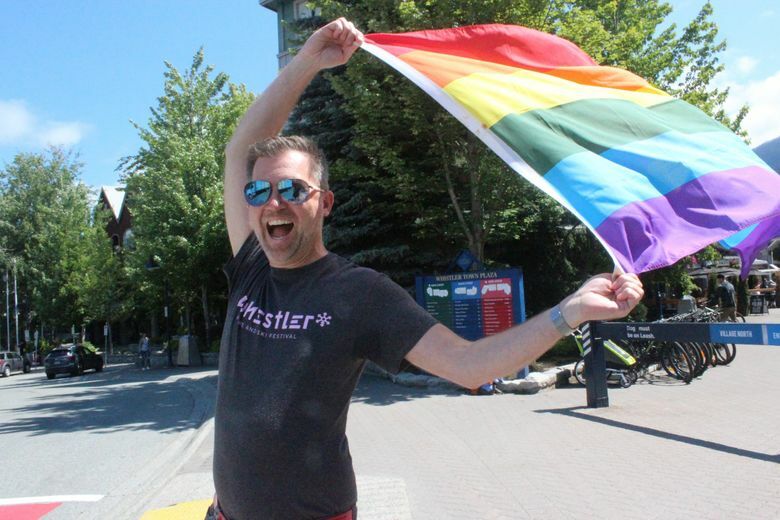 “Now we’re around a $5 (million) to $7 million economic impact to the resort every year,” says Dean Nelson, the CEO of Gay Whistler and the man who has continued and expanded upon Benaschack’s efforts to make the resort town a place where LGBTQ people feel safe and welcome. Nelson’s work really began in 2006, when the Altitude ski festival was faced with discontinuation after faltering for a few years in the wake of Benaschak’s death in 2003. Nelson and others rallied to keep the festival alive. Today, it lives on under a new name, Whistler Pride. But Nelson’s work didn’t stop there. Soon, he found himself attending InterPride in Zurich, an annual conference connecting pride movements worldwide. It opened his eyes to the struggles and dangers that LGBTQ people face in other parts of the world. 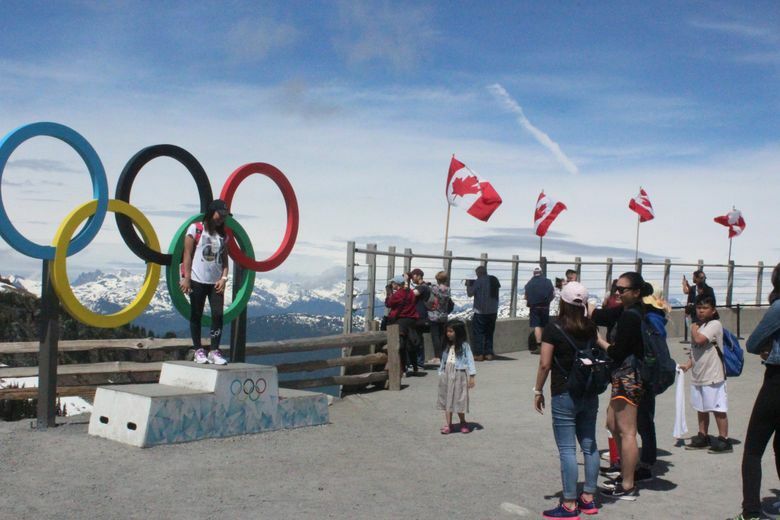 So when it was announced that Whistler would be hosting events during the 2010 Winter Olympics, Nelson knew he needed to create a safe place for queer athletes, visitors and staff at the games. So Pride House was created as a place where LGBTQ visitors could enjoy the games without fear of homophobia or violence. It eventually became an international organization offering safe spaces at sporting events all over the world. An international leader for gay rights, Nelson said his decision to dedicate his life to advocacy for equality was spurred on when he witnessed a show of solidarity. An older straight couple marched alongside him at a march for the Mr. Gay Europe competition in Budapest, and stayed even when violence erupted against the marchers. Pretty much anyone you talk to in Whistler will tell you they’re there for the mountain. 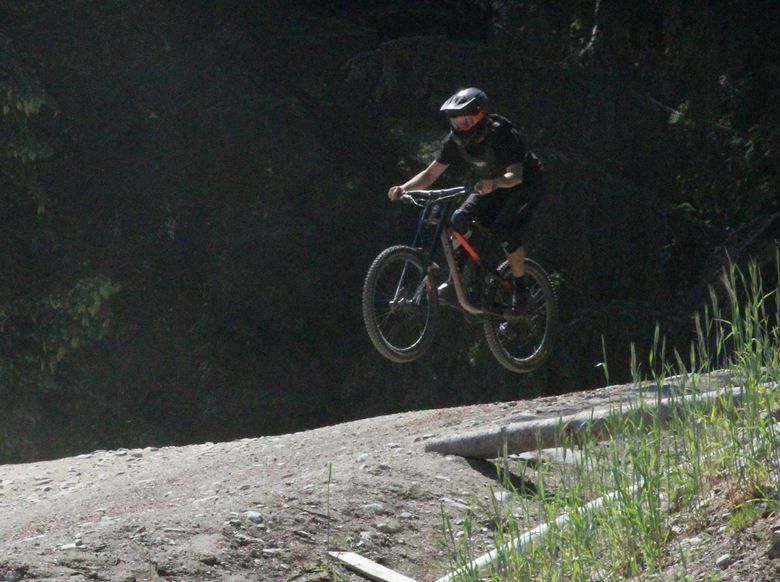 Most are skiers, snowboarders, mountain bikers or all of the above. The people here “work to play,” as Olivia Rey says. Rey grew up in Whistler, and has been skiing, kayaking and biking since she was a kid, but these days she is relearning the basics with the help of sports therapist Elishka Vondračkova. Three years ago, Rey was in a car accident that left her with quadriplegia. An avid snowboarder before the accident, Rey was recovering in Vancouver when she heard about a program in Whistler that could help her get back on the mountain. Through a network of volunteers and coaches and a cache of gear made to accommodate different physical disabilities, Whistler Adaptive offers people like Rey the chance to engage in a wide array of sports, including skiing, paddleboarding, biking and sailing. Trained volunteers like Vondračkova work with each person’s needs to adapt gear and assistance appropriately. For Rey, that means using tethers as she learns to sit-ski, and using special gear that allows her to grip a kayak paddle. 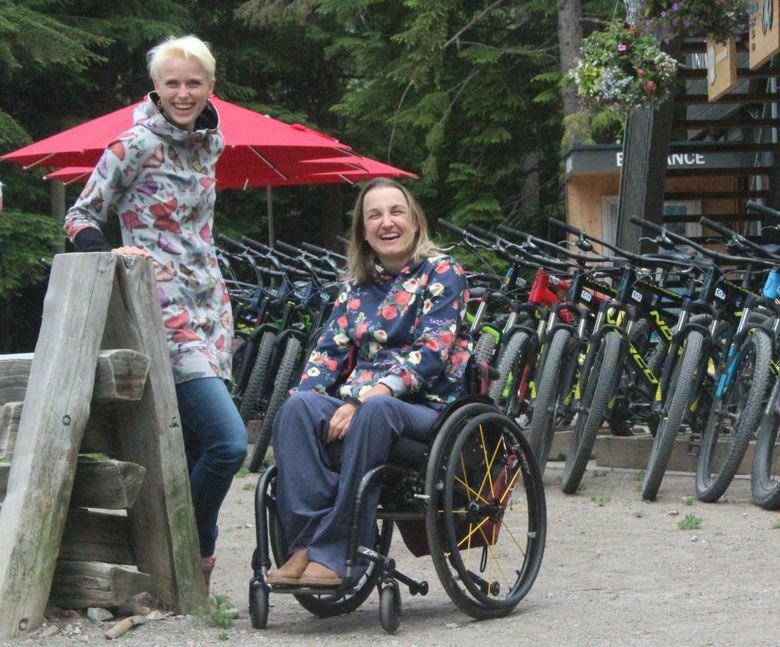 “A lot of individuals are with us year-round so we get to know them really well, and so we can understand their unique situations and adapt different sports situations to them,” says Chelsey Walker, the executive director of Whistler Adaptive. “For individuals who are dropping into our program, we’ll work on the fly to make sure that that particular (two- to six-hour) experience is the best possible, and then take that information if they’re going into another sport the next day,” Walker says. For Rey, it’s been a challenge to learn new ways of engaging in activities she learned as a kid. “It’s the same skills but you have to learn them again a little bit different,” explains Vondračkova. In spite of this, Rey is hopeful. Whistler is a hungry place. It wants anyone and everyone who will have it. The folk behind the scenes, the ones crafting the Whistler experience for guests, take advantage of every opportunity to reach untapped audiences. 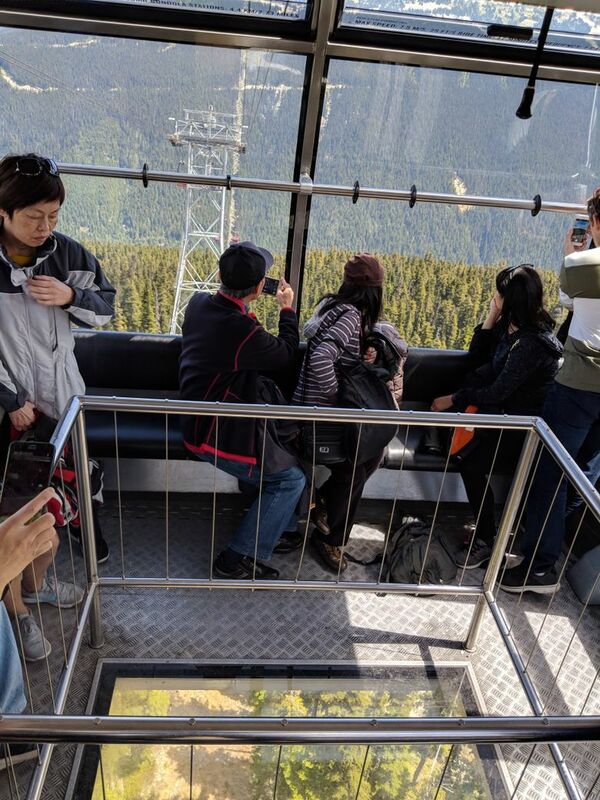 For those not so into adventure sports, the Peak 2 Peak gondolas take you from the peak of Whistler Mountain to the peak of Blackcomb; both boast restaurants with stunning views. One even has a Nintendo gaming lounge in the basement (perhaps for people who hate beautiful views). For the more artistically inclined, the new chief curator at the Audain Art Museum is launching a “guerrilla marketing campaign” to draw visitors to the museum’s upcoming pop art exhibit. 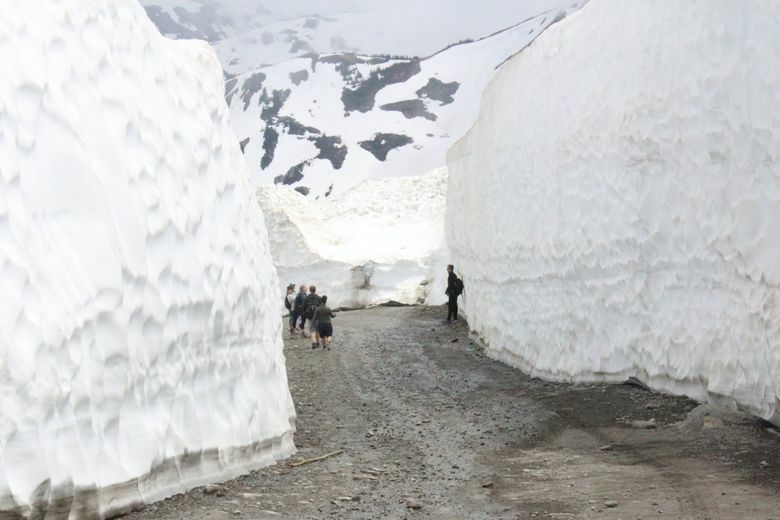 When developers realized that the snowplowing at the peak created massive, 40-foot-tall snow walls, they made it an attraction for hikers. 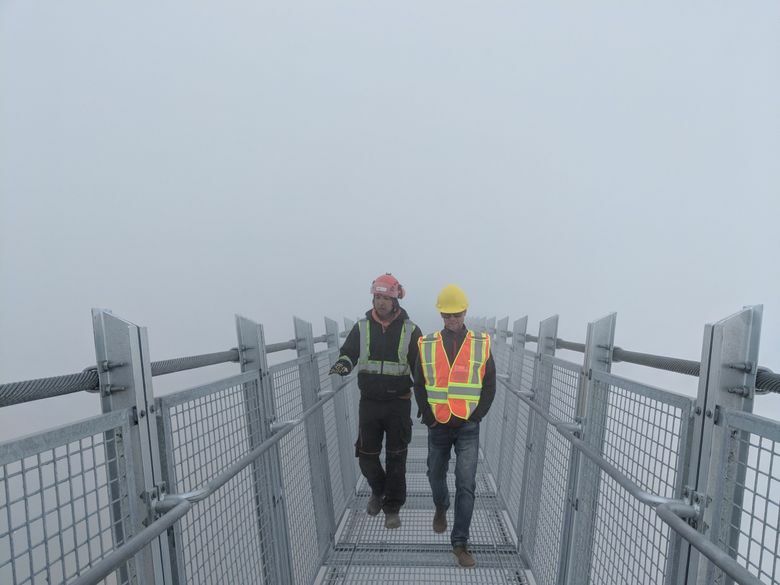 This summer, under the direction of Rob McSkimming, the vice president of business development for Vail Resorts, a 425-foot suspension bridge at Whistler’s peak will offer yet another way to take in the views. Whistler is the travel equivalent of an overeager student-council nominee passing out brownies and buttons to anyone who might vote for her. But this come-one-come-all, please-like-me vibe is also what makes it a place where you can find adaptive sports programming, a ski-themed LGBTQ pride festival and the birthplace of Pride House, and a one-of-a-kind collaborative cultural center of the Lil’wat and Squamish nations. As Nelson calls it, Whistler might be considered “an adult version of Disneyland” — where everyone is invited. This post was updated July 5 at 2:41 p.m. In the original post, we wrote “A member of the Líl̓wat7ul Nation, Mixalhíts̓a7 recalls a contentious time growing up when local families in Mount Currie who relied on the logging industry clashed with Líl̓wat7ul community members, who were fighting to protect their land from clear-cutting.” The logging community described is located in Pemberton, British Columbia, not Mount Currie.